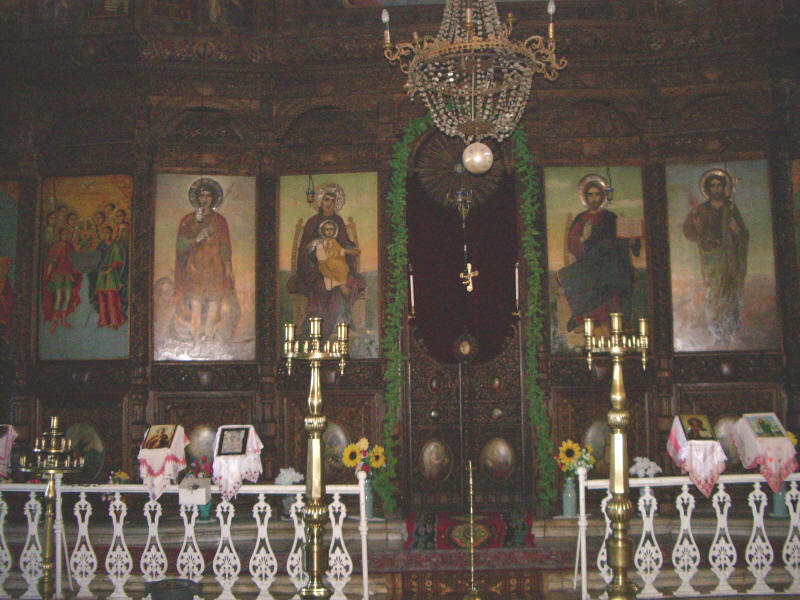 Футболни отбори от вестник "Старт"
The Memorial Temple of the Birth of Christ (Bulgarian: Храм-паметник „Рождество Христово“, Hram-pametnik „Rozhdestvo Hristovo“), better known as the Shipka Memorial Church or Shipka Monastery is a Bulgarian Orthodox church built near the town of Shipka in Stara Planina between 1885 and 1902 to Antoniy Tomishko's design in the seventeenth-century Muscovite style, under the direction of architect Alexander Pomerantsev. 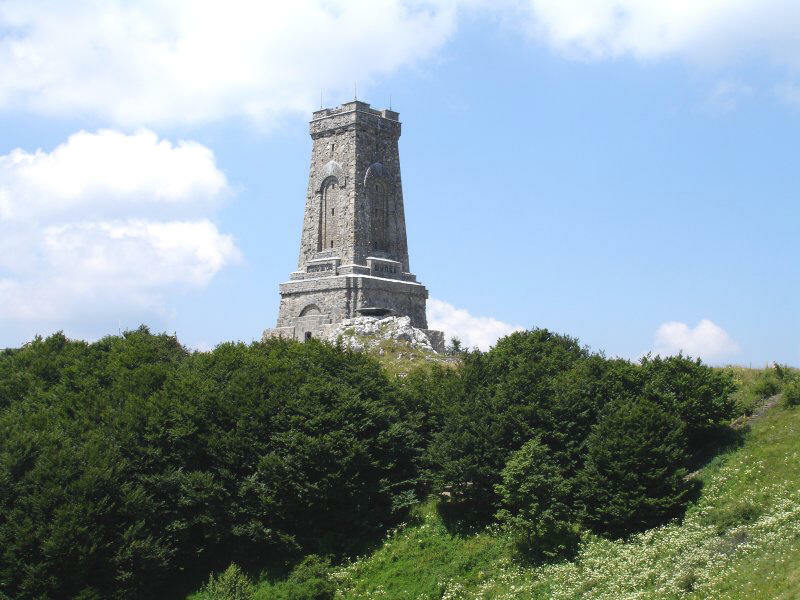 It is, together with the other parts of the Shipka Monument complex, dedicated to the Russian, Ukrainian and Bulgarian soldiers that died for the liberation of Bulgaria in the Russo-Turkish War, 1877-78. 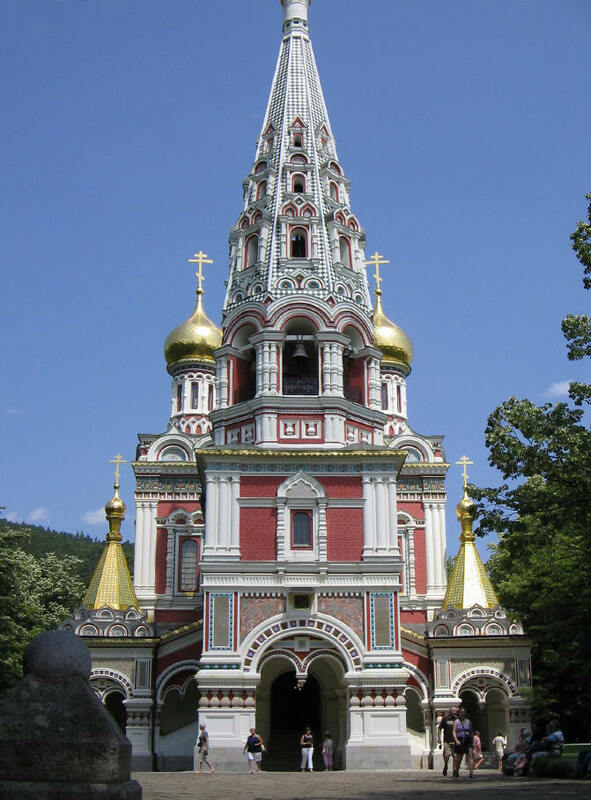 The temple was officially opened on 28 September 1902 in the presence of Russian Army generals and many honourable guests. The opening and consecration of the Shipka Memorial Church concurred with the 25-year anniversary of the Battles of Shipka Pass. 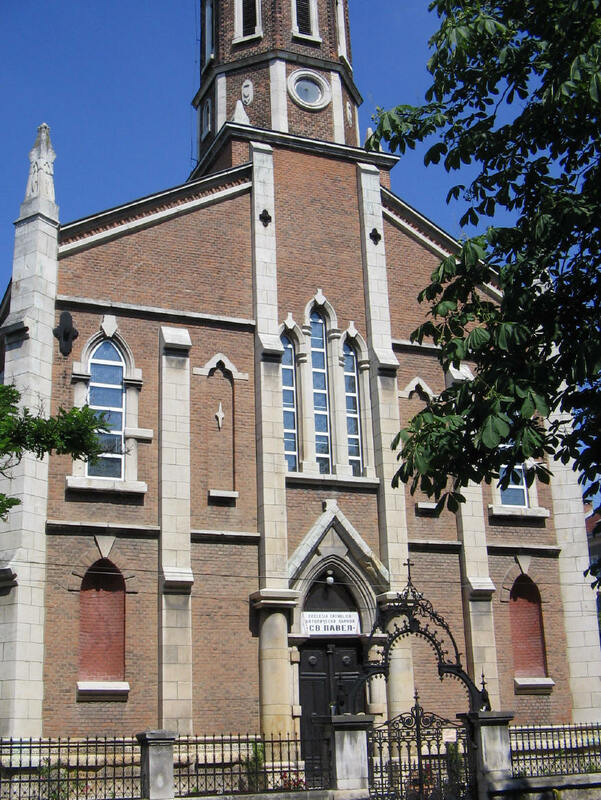 In 1970, the temple was proclaimed a national monument of culture. 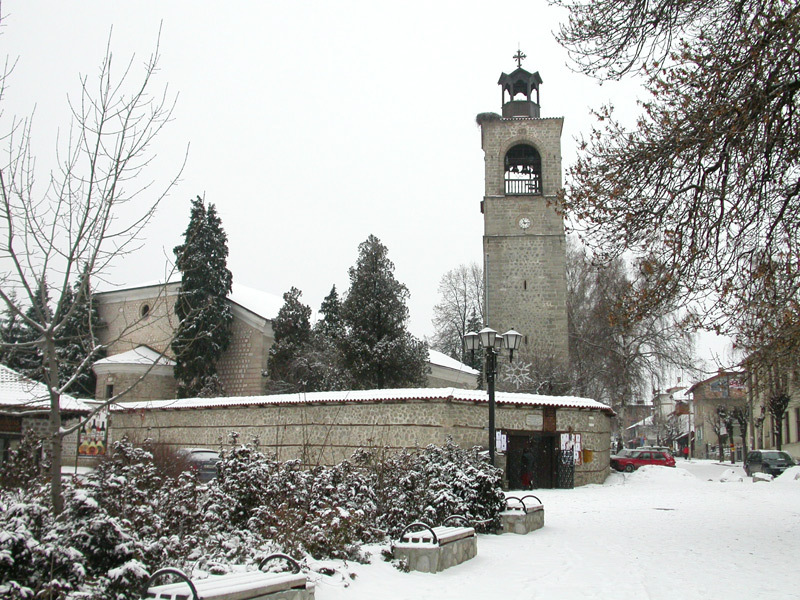 The St. Alexander Nevsky Cathedral (Bulgarian: Храм-паметник „Свети Александър Невски“, Hram-pametnik „Sveti Aleksandar Nevski“) is a Bulgarian Orthodox cathedral in Sofia, the capital of Bulgaria. 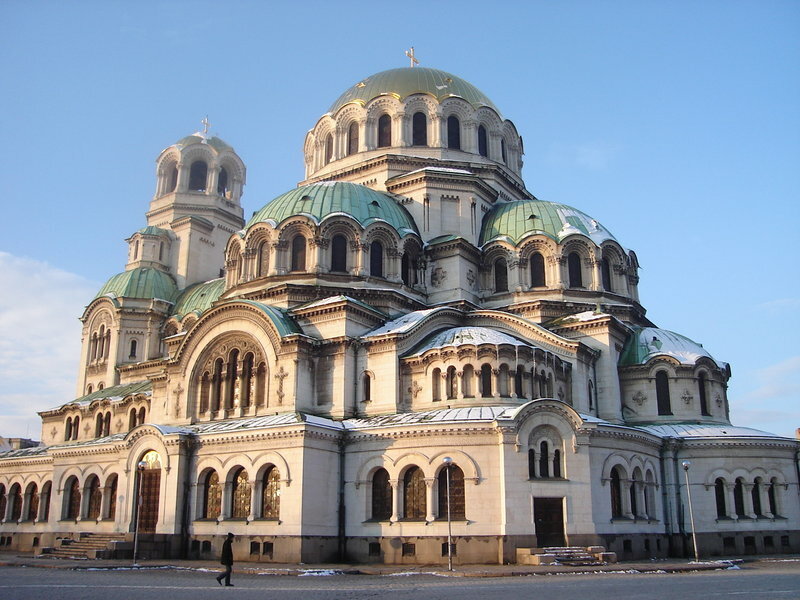 Built in Neo-Byzantine style, it serves as the cathedral church of the Patriarch of Bulgaria and is one of the largest Eastern Orthodox cathedrals in the world, as well as one of Sofia's symbols and primary tourist attractions. 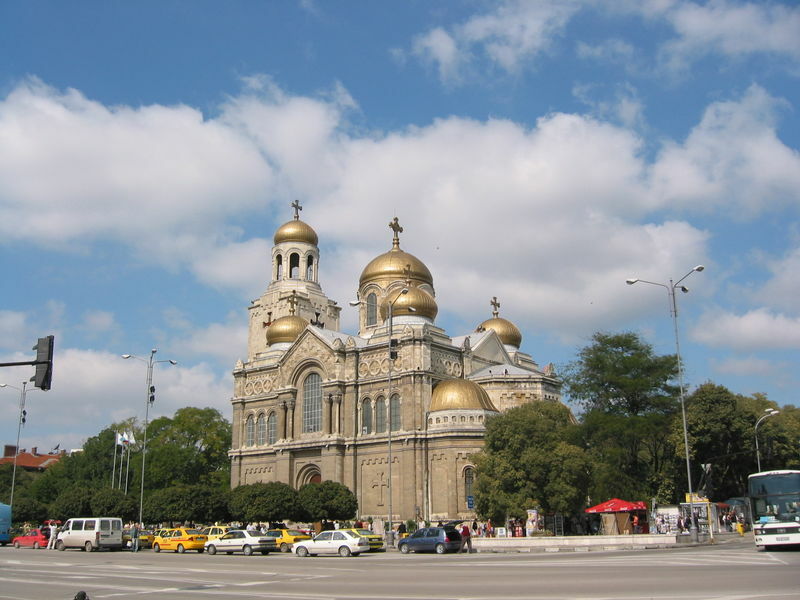 The Alexander Nevsky Cathedral is a cross-domed basilica featuring an emphasized central dome. The cathedral's gold-plated dome is 45 m high, with the bell tower reaching 50.52 m. The temple has 12 bells with total weight of 23 tons, the heaviest weighing 12 tons and the lightest 10 kg. 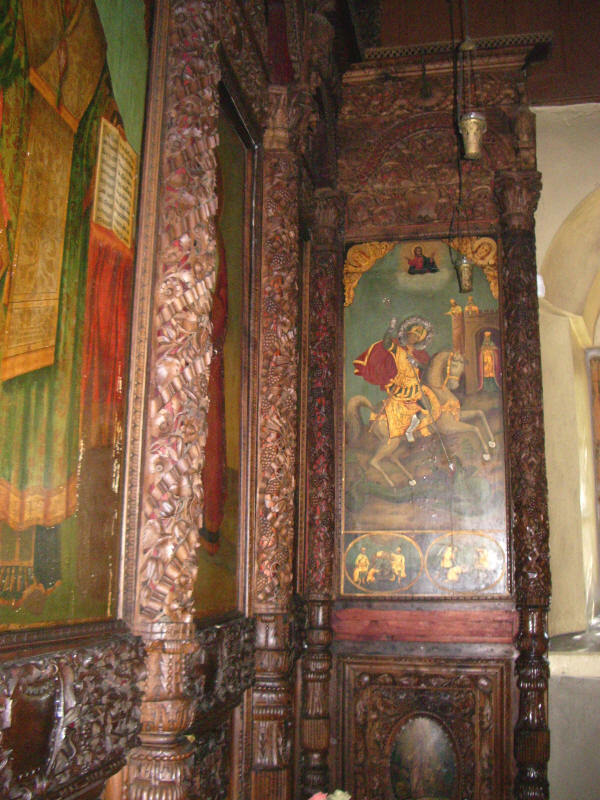 The interior is decorated with Italian marble in various colours, Brazilian onyx, alabaster, and other luxuirous materials. The central dome has the Lord's Prayer inscribed around it with thin gold letters. The construction of the St. Alexander Nevsky Cathedral started in 1882 (having been planned since 1880), when the foundation stone was laid, but it was in fact built between 1904 and 1912 in honour to the Russian soldiers who died during the Russo-Turkish War of 1877-1878, as a result of which Bulgaria was liberated from Ottoman rule. The cathedral was designed by Alexander Pomerantsev, aided by Alexander Smirnov and Alexander Yakovlev, as the initial 1884-1885 project of Ivan Bogomolov was radically changed by Pomerantsev. 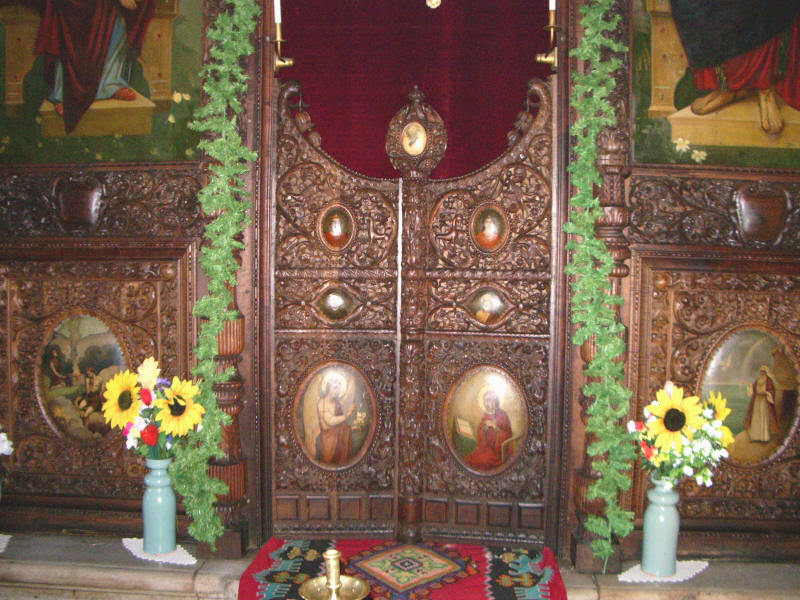 The Dormition of the Theotokos Cathedral (Катедрален храм "Успение Пресвятия Богородици" or Катедрален храм "Успение Богородично") is the largest and most famous Bulgarian Orthodox cathedral in the Bulgarian Black Sea port city of Varna, officially opened on 30 August 1886. 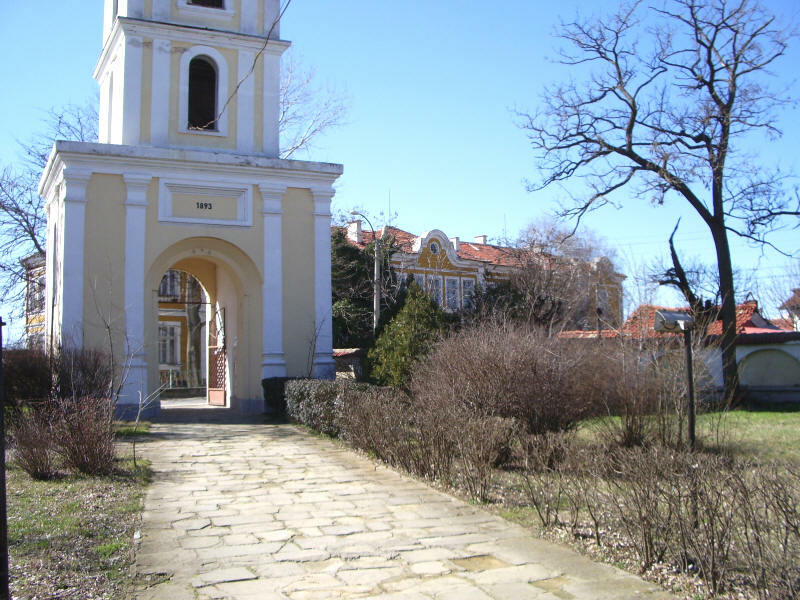 It is the residence of the bishopric of Varna and Preslav and one of the symbols of Varna. 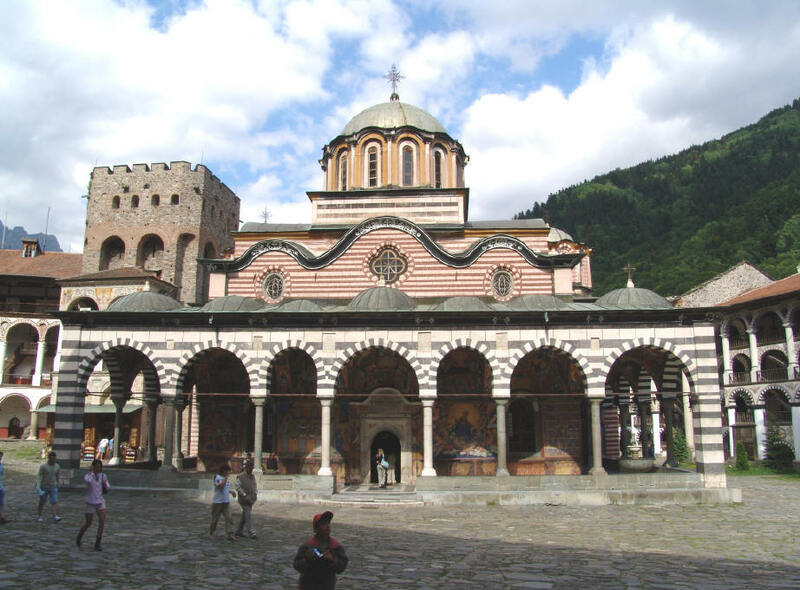 The Monastery of Saint John of Rila, better known as the Rila Monastery (Bulgarian: Рилски манастир, Rilski manastir) is the largest and most famous Eastern Orthodox monastery in Bulgaria. 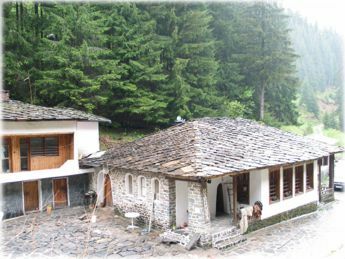 It is situated in the northwestern Rila Mountains, 117 km south of the capital Sofia in the deep valley of the Rilska River at an elevation of 1,147 m above sea level. 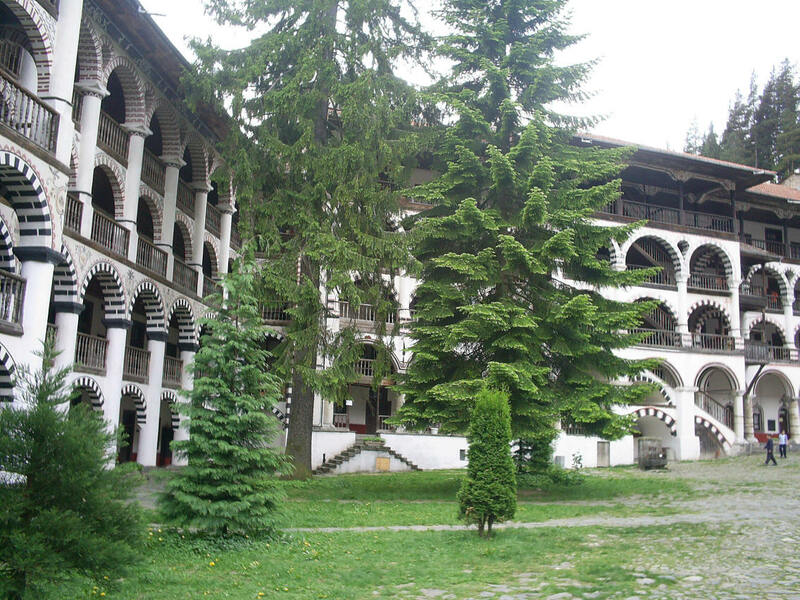 Founded in the 10th century, the Rila Monastery is regarded as one of Bulgaria's most important cultural, historical and architectural monuments. 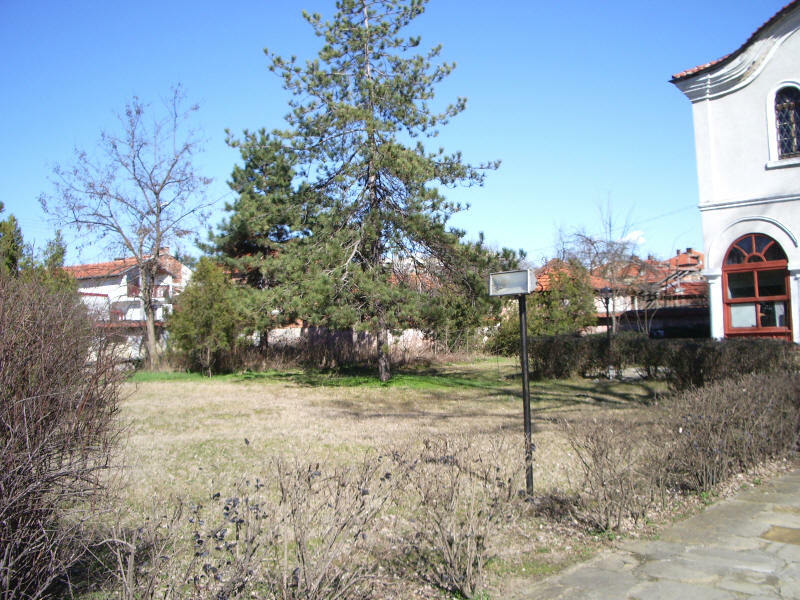 It is on account of this also a key tourist attraction in Bulgaria and Southeastern Europe as a whole. The St Paul of the Cross Cathedral (Bulgarian: Катедрален храм „Свети Павел от Кръста“, Katedralen hram „Sveti Pavel ot Krasta“) is a Roman Catholic cathedral in the city of Rousse in northeastern Bulgaria. 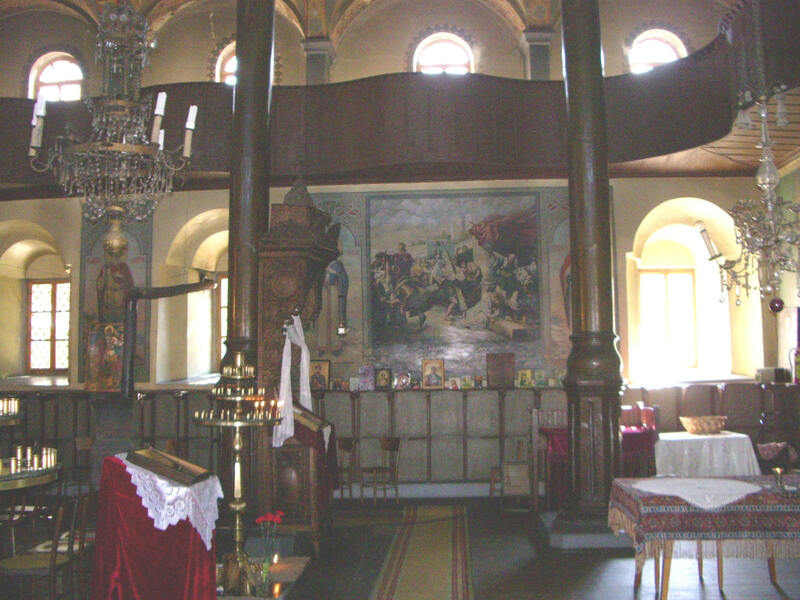 It is the cathedral church of the Nikopol eparchy and is dedicated to St Paul of the Cross, patron of the Passionists. 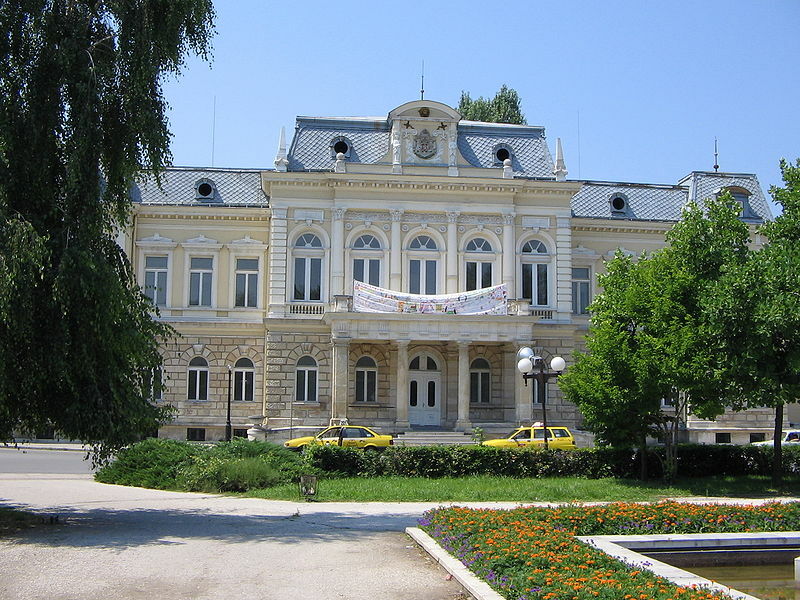 Rousse (also transliterated as Ruse or Russe; Bulgarian: Русе ['ru.sɛ]; formerly also Rustchuk) is the fifth largest city in Bulgaria, with a population of 178,000. 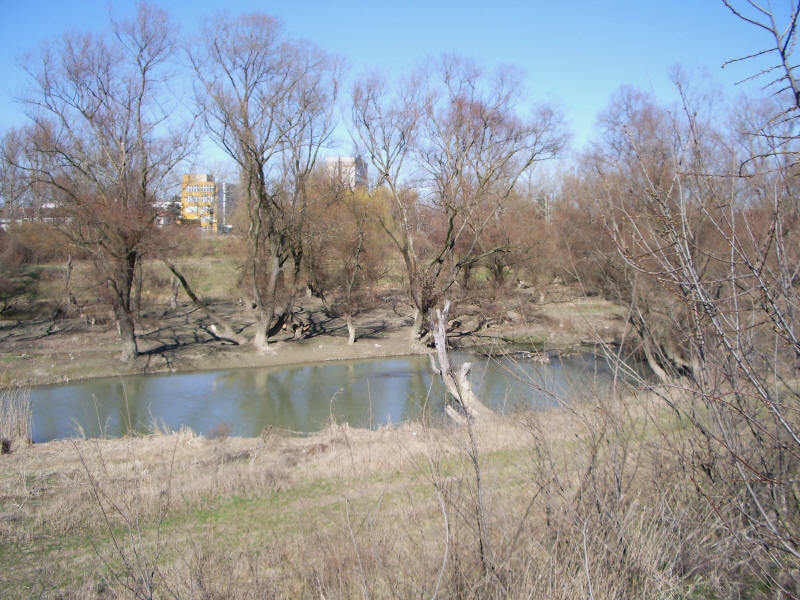 Rousse is situated in the northern part of the country, on the southern bank of the Danube, opposite the Romanian city of Giurgiu, 320 km from the capital Sofia and 200 km from the Bulgarian Black Sea Coast. It is the most significant Bulgarian river port, serving an important part of the international trade of the country ..
Full article on Wikipedia here.. The Ivan Vazov National Theatre (Bulgarian: Народен театър „Иван Вазов“, Naroden teatar „Ivan Vazov“) is Bulgaria's national theatre, as well as the oldest and most authoritative theatre in the country and one of the important landmarks of Sofia, the capital of Bulgaria. 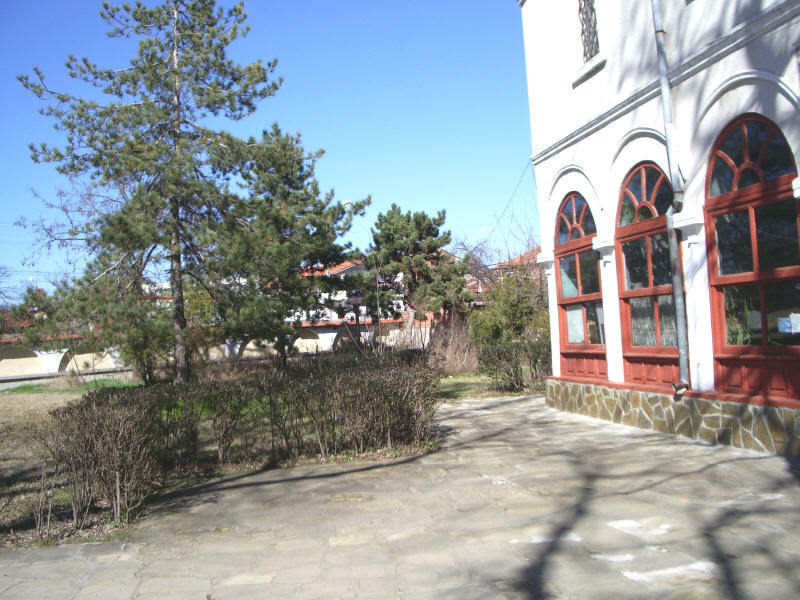 It is located in the centre of the city, with the facade facing the City Garden. 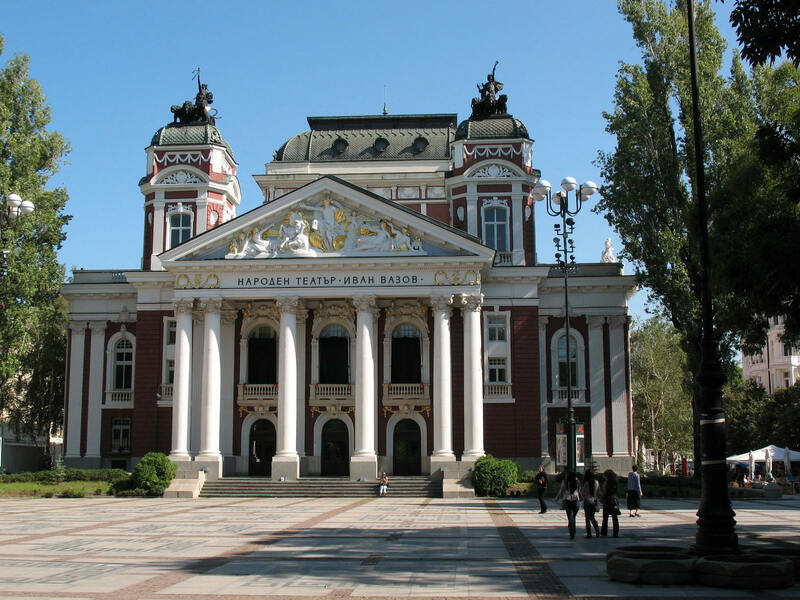 Founded in 1904 by the artists from the Salza i Smyah company, it was initially called simply the National Theatre, but before being named after the prominent writer Ivan Vazov it also bore the name of Krastyu Sarafov between 1952 and 1962. The theatre's Neoclassical building, designed by famous Viennese theatre architects Hermann Helmer and Ferdinand Fellner, was finished in 1906 and opened on 3 January 1907. The building was extensively damaged by a fire in 1923 during an anniversary celebration, but was reconstructed in 1929 by German architect Martin Dülfer. You can find here beautiful pine forests, fresh air, mountain lakes and streams and many opportunities for hiking adventures, wildlife watching, angle opportunities ( for trout lovers ). 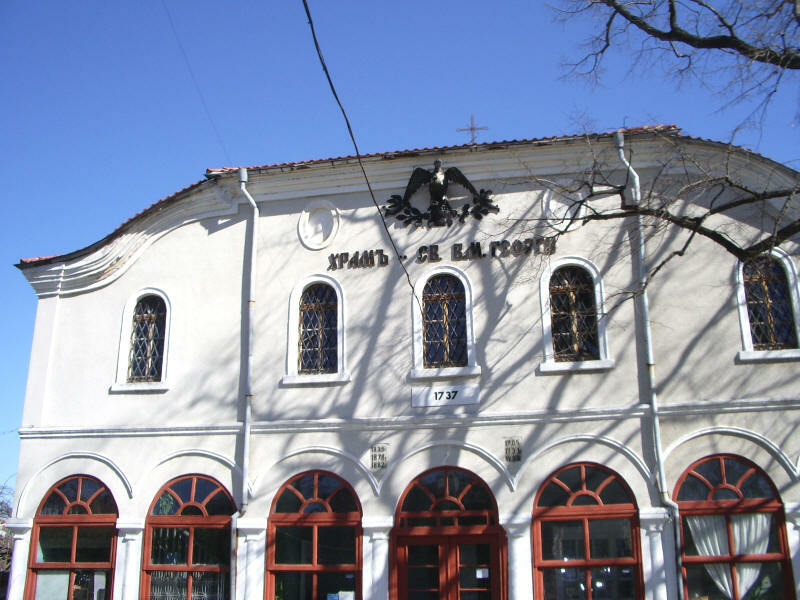 See also: "Historical Towns in Bulgaria"
Yambol (Bulgarian: Ямбол) is a city in southeastern Bulgaria, the administrative centre of Yambol Province. 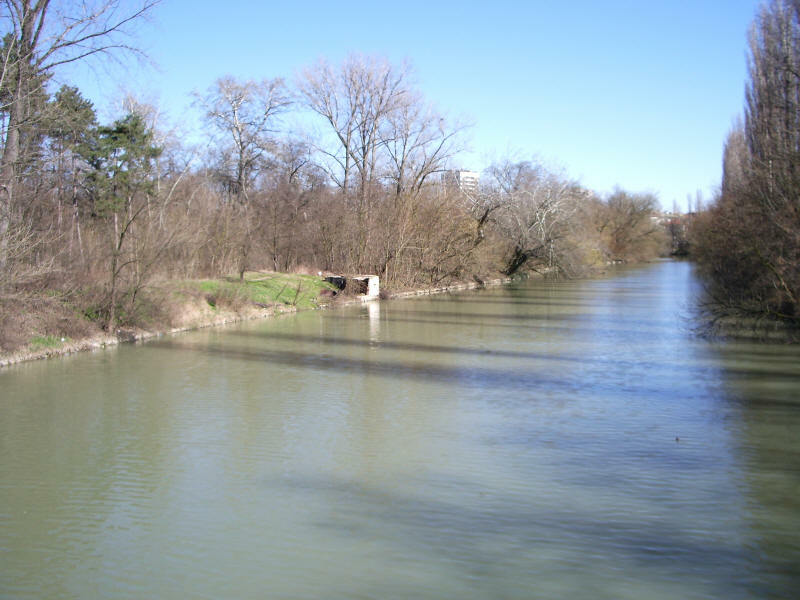 It lies on both banks of the Tundzha in the historical region of Thrace. Today, the town has 85,966 inhabitants as of 2006. 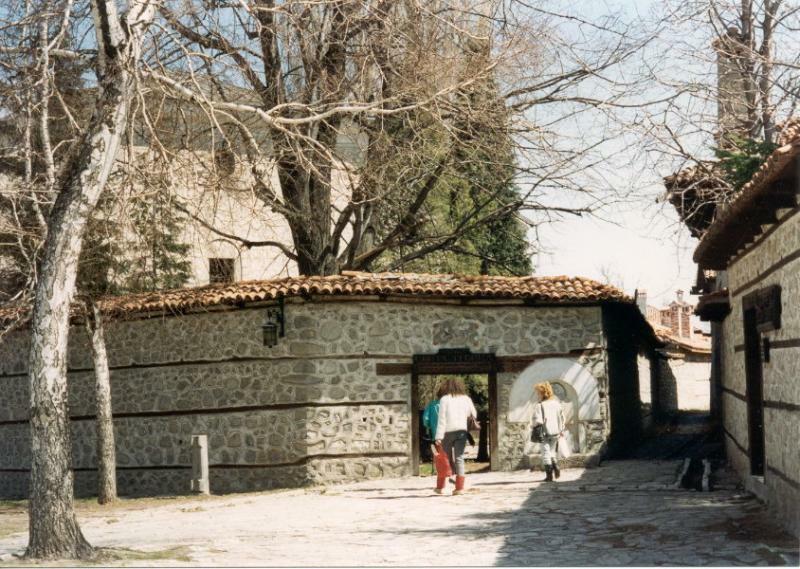 Although the surrounding area has been inhabited since the Neolithic and was the location of the Thracian royal city of Cabyle (later conquered by Philip II of Macedon and the Romans, but destroyed by the Avars in 583), what is today Yambol was founded by Roman Emperor Diocletian in 293 as Diospolis ('city of Zeus'). 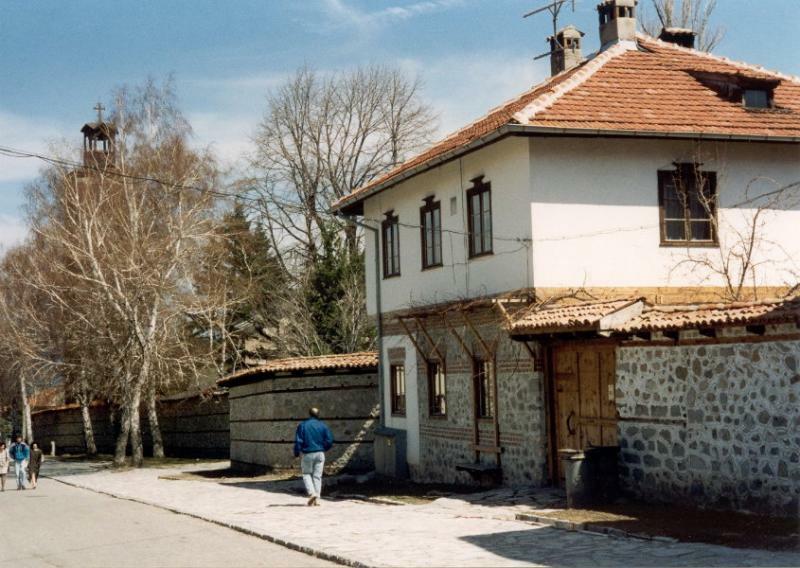 The name later evolved through Diampolis and Diamboli to become Yambol. Town of Koprivshtitsa - See also: "Old Towns in Bulgaria"
Koprivshtitsa (Bulgarian: Копривщица, from the Bulgarian word коприва, kopriva, meaning "nettle") is a historic town in Sofia Province, central Bulgaria, lying on the Topolnitsa River among the Sredna Gora mountains. 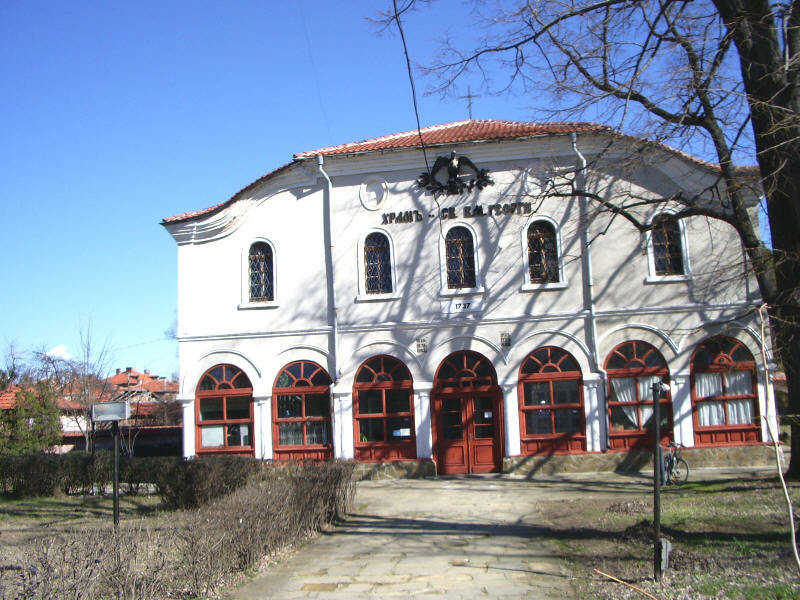 It was one of the centres of the April Uprising in 1876 and is known for its authentic Bulgarian architecture and for its folk music festivals, making it a very popular tourist destination. 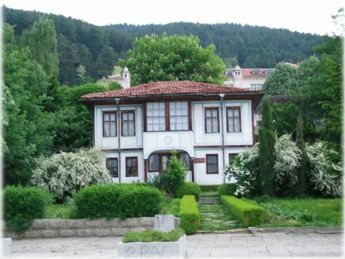 Koprivshtitsa is one of the characteristic Bulgarian towns, still preserving the atmosphere of the Bulgarian National Revival period of the 19th century. Футболни отбори от вестник "Старт", издания от 1971 до 1982 год.